When you believe Western media, religion is suffering severely from repression in China. 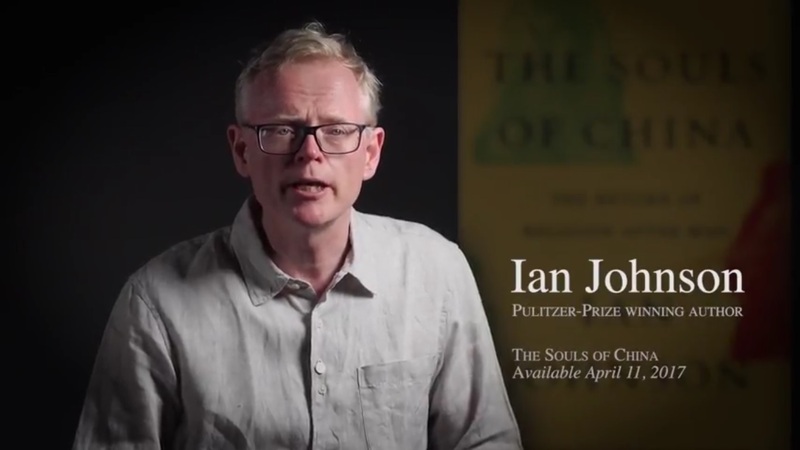 But author Ian Johnson explored for his book The Souls of China: The Return of Religion After Mao the different religions in the country and discovered they are flourishing like they did not do for a long time, he tells to Christianity Today. What are the major religious movements you explored? First, I look at groups in Beijing that practice Buddhism and other Chinese folk religions, which have been suppressed in the past but are making a big comeback with a bit of government support. These are primarily working-class people, the kind you don’t meet very often or read about too much. Then I spent time with a group of folk Taoist priests living in Tseng Chi province, in the countryside. Even though China has urbanized, about half the population lives in rural areas. Taoism is China’s indigenous religion. I got a feel for religion in the countryside, and a sense of the adaptations people make when they move to the cities. I visited a family where the father stayed in the village and the son moved to the town, which caused some tensions. The other major group is the Chengdu Protestants, named after the province where they are concentrated. Protestantism is China’s fastest growing religion. I wanted to look at an unregistered church, because they are growing the fastest, and because they’re so dynamic and interesting. In some ways, they’re the future of one big segment of religious life in China. I also wanted to avoid spending too much time in Beijing. If you spend all your time there, you would think the Communist Party is all powerful. But in Chengdu you see this unregistered church that’s running its own seminary and kindergarten. It bought a floor in an office building. And all of this is happening even though it’s technically illegal. You get a feel for the diversity of China and how things outside of Beijing can be a bit more freewheeling. How would you categorize the folk Buddhist “tea associations” around Beijing? I do think this is religious practice, even if the government is more comfortable calling it “culture.” They don’t really know what to make of it. This is not really any one religion. It’s more the way most Chinese religion was practiced in the past, a hodgepodge of Taoism, Buddhism, and various other things. For most people, there wasn’t a sharp theological boundary between Taoism and Buddhism. These things used to be viewed as mere superstition—praying to gods for children, good health, or things like that. And the government, in the hard Communist era under Mao, made it illegal. But increasingly, the government doesn’t see it as harmful because it can provide a kind of stability. It gives people something to believe in and it’s not overtly political, so the government is willing to encourage it. It’s all self-organized, and people are really quite pious. The government might call it culture, but they’re worshiping at these temples. Almost all of them have little shrines in their homes, like a statue of a god or Guan Yin, the Buddhist goddess of mercy. They light incense and say prayers. You wouldn’t know it just from walking around Beijing, because it’s not so visible. But there are about 80 or 90 of these groups in Beijing, with more forming all the time. Why do Protestantism and Chinese folk religions seem to appeal to different classes of people? Protestantism is more likely to appeal to Chinese with higher levels of education. That’s not to say that people who believe in Buddhism and Taoism all have less education. But Protestantism is a more modern religion in the sense that you have a more unmediated relationship with God. You can pray directly to God, the pastor addresses you directly in his or her sermons, and there’s more participation by the congregation. In a traditional Chinese ceremony, you tend to have a religious experience through an intermediary. The priest figure does ceremonies and says prayers on your behalf, and you’re more passively watching this happen. Many urban, educated people want a more active religious experience. Wang Yi, the pastor of Early Rain Reformed Church in Chengdu, is a very good speaker. His sermons address real-life issues that people face. Traditionally in Buddhism or Taoism you don’t have that kind of interaction with the priest. They are doing something for you, but they’re not really talking to you. Are you looking for more experts on cultural change in China? Do check out this list.